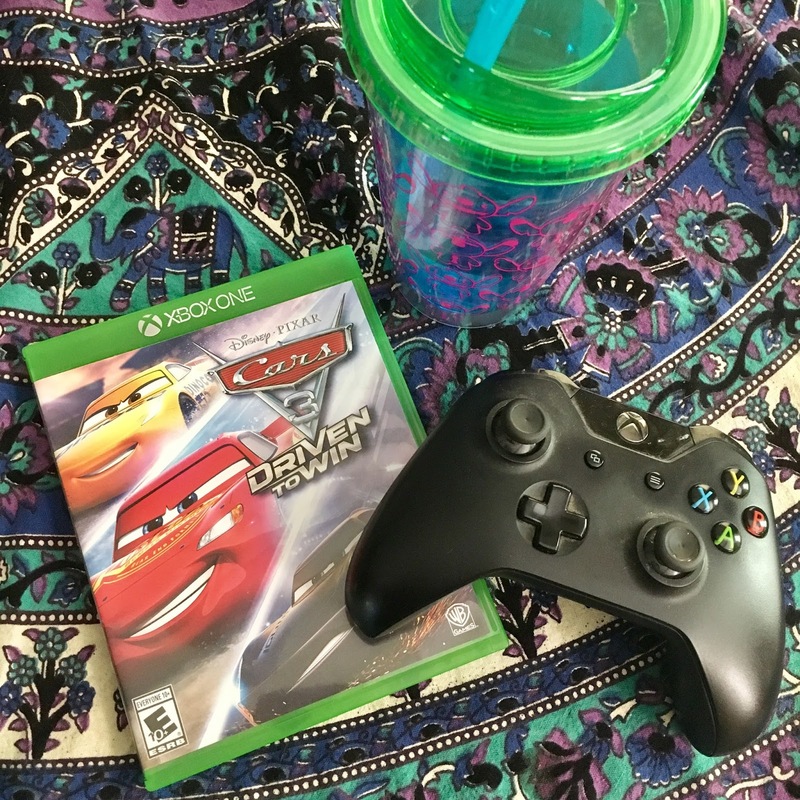 Picturing Disney: Cars 3: Driven to Win Review! we were able to test drive the newest Cars game! We adore it! Our family had a great time playing. It is a "Disney version of Mario Kart" according to our son. Everyone in our family enjoyed the game. (our kids range in age from 8-13.) Although we played on Xbox One the game is available across all platforms. Cars 3 Driven to Win is fun and is sure to keep away those end-of-summer blues! Cars 3: Driven to Win picks up after the final big race in the upcoming Cars 3, and offers an all-new high-speed competition that is filled with both familiar and new faces. Players will be able to take the driver’s seat and set out in action-packed adventures as they join Lightning McQueen and Cruz Ramirez in preparation to take on rival racer Jackson Storm. With over 20 customizable playable characters to choose from, including popular heroes from the Cars franchise and next generation racers, and more than 20 unique tracks across 13 iconic race environments from the film. Cars 3: Driven to Win allows players to customize their racing adventure and discover a variety of possible experiences through its replayability.